Feline heartworm disease is caused by the parasitical nematode, Dirofilaria immutis, or roundworm. These troublemakers have dogs as their best host and also have been found in wolves, foxes, ferrets, black bears, horses, sea lions, humans, and cats. While cats are not ideal hosts for this parasite, under the right conditions, feline heartworm disease can have serious, even fatal, consequences for your furry companion. For a cat to become infected with heartworm, there must be a reservoir of Dirofilaria immitis microfilariae (usually found in dogs), and there must be mosquitoes in which these larvae can molt. If there are no mosquitoes then there are no heartworms. Over 50 different species of mosquitoes can transmit heartworm, but not all of them readily feed on both cats and dogs. The species of mosquito found in an area is an important variable in determining the incidence of feline heartworm disease in relation to the incidence in dogs. An estimate, but only an estimate, is that feline heartworm disease in cats happens at about 10 percent of the rate that occurs with dogs. Being an indoor cat makes it less likely but it does not eliminate the possibility. While cats are susceptible to heartworm, they are resistant hosts for Dirofilair immitis and it has been found that they have to be bitten many times by mosquitoes in order to become infected. Adult heartworms have a relatively short life span in the cat…typically less than two years. Because immitis rarely survives long in the cat’s blood, mosquitoes that feed on cats only rarely infect other cats with heartworm. Some cats infected with heartworm do manage to rid themselves of the infection spontaneously in the early stages. In others, the heartworms develop into adults, proceed through their 2 year life cycle in the cat, and die off naturally causing only minor or transient problems for their unwilling host. However, even a single worm can cause serious illness for a cat including sudden death. The crisis occurs when worms die, either at the 1.5 subadult stage or as adults. Unlike dogs, cats have specialized macrophages in their lungs, designed to develop and digest foreign materials. When the worms die, a rapid intense inflammatory reaction can occur, causing massive swelling of the lung tissues, much like a bee sting to a person who is allergic. The lung becomes unable to function, resulting in acute respiratory distress and, without emergency care (and even despite such care), death. Feline heartworm disease in cats was originally reported in Brazil in 1921 and since then has been reported on almost every continent as well as most of the U.S. It’s most common in areas with either continual or seasonal warm, humid weather where the conditions are perfect for mosquitoes. Another reason for the spread has been global travel. Areas that are warm and not humid, such as southern California, have few mosquitoes. The life cycle of the heartworm has a methodology to get a foothold in a cat. First the female mosquito bites an infected dog and along with her blood meal the insect takes in a load of microfilariae (the larvae of an adult heartworm) and over a period of 8-28 days (hotter climates are faster) and within the mosquito they molt into an infective stage called L3. The mosquito then bites another animal such as a cat and about 10-12 of the L3 larvae travel down the mosquito’s proboscis and penetrate the new host’s skin through the puncture wound made by the mosquito. In a cat, the worms take approximately 7-8 months (called the patency period) to grow into full adult size. After the first 3-4 months, the L3 larvae molt into the sub adult L5 stage and reach the lungs, often causing intense inflammation. This is when the cat’s first symptoms such as intermittent coughing, bronchial asthma-like symptoms and vomiting can appear. A definite diagnosis is difficult at this stage because the symptoms may be minimal or may mimic other conditions. Over the next 2-3 months clinical symptoms may abate or disappear entirely as the worms grow to full adult size and take up residence in the cat’s heart and pulmonary arteries. A female heartworm can be about 11 inches in length and a male around 7 inches so you can see in a body as small as a cat’s that this can be severe especially when there may be 3-6 adult worms. The cat may show no further symptoms once the adult worms are settled in…but a potential time bomb has been initiated. Cats typically experience only a transient patency. The microfilariae don’t survive long in the cat’s bloodstream, usually no longer than a month. Cats are considered dead-end hosts for the parasite as they rarely have circulating microfilariae that can be accessed by another mosquito to transmit the infection on to other hosts. Watch for the symptoms of feline heartworm disease. An infected cat might show no symptoms but it’s more likely an infected cat will show such signs as intermittent vomiting of either food or foamy vomit that is unrelated to eating; coughing, panting; open mouth breathing; gagging; rapid breathing (tachypnea) or difficult breathing (dyspnea); lethargy; sluggishness; anorexia, or weight loss. The symptoms often appear 4-6 months after the peak mosquito season in your area. The symptoms can range from minor to extremely severe and it’s important to remember that even a cat with feline heartworm disease that has no symptoms is at risk for sudden death. A cat showing any of these symptoms for more than a couple of days needs veterinary attention. If you live in an area where heartworm is rare, your vet might not even think to test for it. Perhaps you moved from a region in the last year where heartworm is more common, or perhaps you took your cat with you on a trip to Florida, or maybe you live in a damp area near a wetland where mosquitoes are more prevalent than the general region…….let your vet know if any of these could be a factor. Testing for feline heartworm disease is trickier in cats than dogs. Some tests look for microfilariae in the blood and although useful for dogs it’s not very useful for cats. Most feline heartworm infection is occult, meaning that although adult heartworms may be present there are no microfilariae circulating in the cat’s blood because microfilariae seldom live in a cat’s blood longer than a month because the cat is a dead-end host. If a cat has symptoms that may indicate feline heartworm disease the first test is usually a serological antibody test. These AB tests look for antibodies, the specialized proteins which fight off the infection and are manufactured by the cat after infection. Antibody tests are pretty accurate but not a guarantee. They return positive results in the presence of heartworm infection but also tend to return many more false positives than antigen tests. Of course there are tests that can be performed and evaluated in a few minutes in your vet’s office. If an AB test returns positive, the next step is to run a different test…a serological antigen (AG) tests. These tests look for heartworm antigens, small protein and carbohydrate components of the parasite that will be circulating in the cat’s bloodstream. If an AG test is positive it is definitive that adult heartworms are present. If a negative is the result then it’s not conclusive because the results may be clouded by an immature infection, a low worm burden, or the presence of only male adult worms. Another way to detect adult heartworms is echocardiography which uses sophisticated equipment to pinpoint the exact location and the number of worms if they are in the heart. This method won’t detect worms that are farther out in the pulmonary arteries or other locations. Of course in cases of sudden death when heartworm is suspected, a necropsy is performed paying special attention to the right ventricle of the heart and the pulmonary arteries but also checking for worms and fragments in other areas of the body. This is how vets gather accurate information of feline heartworm disease. Treatment for feline heartworm disease can put the owner into a dilemma. There are ways to kill the adult heartworms, but the death of the worms due to the treatment may cause the same massive reaction, including the death of the cat. The treatment (adulticide) involves careful injections of an arsenical compound (thiacetarsamide sodium) over a two day period, hospitalization, strict rest and constant monitoring for up to two weeks. The problem is that in addition to possible complications from the procedure there is the same possibility of a massive reaction when the worms die, just as if they had died naturally. The reaction may include acute distress and death of the cat before emergency treatment can be administered. Many vets prefer to avoid this procedure unless an owner insists upon it. Surgical removal is only an option if the worms have been identified by echocardiogram in the right ventricle of the heart or in the pulmonary arteries and only if they are grouped together and can be easily visualized and manually removed. The surgical removal using special forceps and brushes was pioneered in dogs but surgical removal of feline heartworms calls for specialized skills not often practiced by the average veterinarian. It also requires fluoroscopic imaging equipment usually only available in larger clinics and teaching hospitals. Removal of the worms is sometimes successful but an attempt to surgically remove the worms can also precipitate a fatal crisis. When heartworms die they can embolize, blocking blood vessels and provoking the cat’s system to crank out a sudden response of inflammatory mediators, resulting in the collapse of the cat. In some cases simply touching or manipulating the worms has been known to cause an instant massive systemic reaction, a ‘crash’ of blood pressure and death. Why this systemic response happens is not fully understood and it’s difficult to predict in which cats it will happen. Despite the dangers of these two potential “cures”, cat owners must remain aware that in a minority of cases, withholding treatment can be lethal. The cat may experience acute respiratory distress and sudden death when the worms die naturally even if the owner sees the onset of the crisis, it may be severe and swift enough to preclude any effective emergency treatment. After a positive diagnosis of feline heartworm disease your cat should be closely monitored and kept indoors and quiet. The respiratory symptoms and vomiting associated with the disease can usually be managed by a regimen of prednisone. The cat's owner has to be extremely vigilant in seeing any signs of unusual distress and be ready to immediately get the cat to the vet. 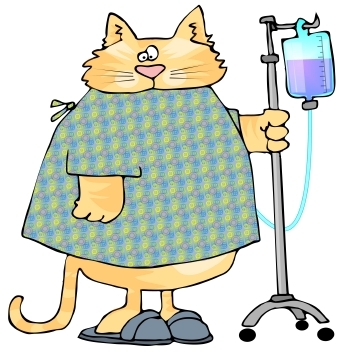 Some vets provide owners of infected cats with emergency doses of injectable oral glucoscorticoid which is a corticoid substance that raises the concentration of liver glycogen and blood sugar which is to be used in cases of acute distress or respiratory collapse. Both cat owners and their vet must remain aware that the onset of any respiratory symptoms in a heartworm infected cat is a dire emergency. It is vital for owners with affected cats to be fully educated about the various options available to them and about the potential risks and benefits of each. There are several safe, simple and relatively inexpensive preventive medications available to help guard cats against heartworms. In endemic areas, it is suggested that preventative medication be administered at 4-6 weeks of age and continued for the life span of the cat. In areas where feline heartworm disease is rarely seen it isn’t as necessary. 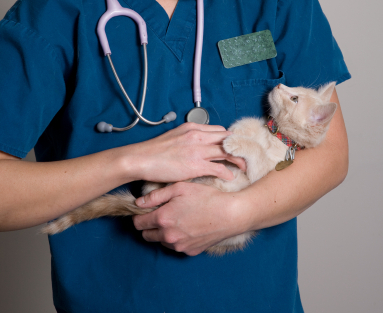 Most vets agree that cats should be tested for heartworm before being put on a preventive medicine. The nature of feline heartworm disease to cause chronic vomiting, intermittent respiratory signs, or to be asymptomatic often misleads the client into thinking the disease is less severe than it is. Veterinarians are well aware of the potential for feline heartworm disease and of the serious consequences that may occur. 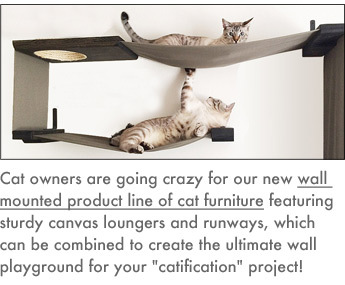 However, it’s still not common knowledge among owners.